Marketing Cloud Expert to Scale SaaS Sales Organization and Drive Continued Revenue Growth. 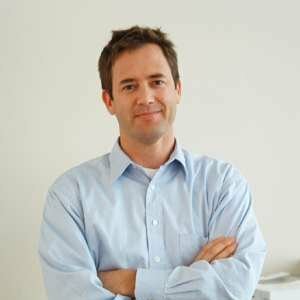 SAN CARLOS, Calif. — August 16, 2017 — RevJet, the SaaS company empowering marketers to double the value of their $230+ billion digital media spend via radically improved digital creative effectiveness, today announced the addition of David Mackay as Chief Revenue Officer. With over 20 years of high-profile SaaS sales experience leading strategic efforts for companies including Omniture, Adobe Marketing Cloud and Oracle Marketing Cloud, David has a proven track record in forming and scaling high-performance sales organizations that surpass revenue expectations. In 2007, Mackay joined Omniture as their sole Canadian sales executive. Beginning with one product and minimal revenue, Mackay quickly grew Omniture’s presence in Canada, building revenue 500%, adding Canada’s major telcos, retailers, and banks as customers, ultimately securing 100% account penetration across these key verticals. Mackay joined Adobe through Adobe’s acquisition of Omniture in 2009 and in 2012 moved to lead Marketing Cloud sales in Adobe’s Financial Services vertical where he grew revenue by $16 million. From 2013 through 2016, Mackay served as RVP Sales and Strategic Accounts in Adobe’s Marketing Cloud business, where he grew Adobe’s flagship digital marketing solutions business by $130 million. In 2016, MacKay joined Oracle as Regional Vice President of Sales for Oracle Marketing Cloud, covering Canada and the Northeast U.S.
"Throughout my career I’ve had the privilege to work with a multitude of cutting edge and powerful systems to serve customers and maximize revenue," said David MacKay, CRO at RevJet. "RevJet’s focus on empowering and illuminating the creative side of digital marketing represents an enormous, yet untapped source of value for digital advertisers. I’m looking forward to working with RevJet’s talented team to create a powerful impact for any company that relies on digital marketing to drive their business." The RevJet Ad Creative Operating System is the first and only comprehensive enterprise platform for digital ad creative, empowering marketers and agencies to effortlessly produce, personalize, serve and optimize digital ad creatives to drive twice the customers and double the brand impact from the ad impressions they're already buying. For more information, visit http://www.RevJet.com.